David Wortmann is the owner and managing director of the consulting agency DWR eco GmbH. He has extensive expertise in fields of business development, public affairs, public relations and strategic consulting in environmental technologies, renewable energy and sustainable development. Wortmann started working in the field of clean tech and renewable energies back in 2000 and is well connected across various sectors of the industry worldwide. He started out working for major protagonists of the energy transition such as Hermann Scheer and supported the creation of the World Council for Renewable Energy (WCRE) in the role as Director of International Policy Affairs. For the governments Industrial Investment Council he served as Head of Asia based in Tokyo and later for the Germany Trade and Invest (GTAI) as Head of the Energy and Environmental Technology Department. Before establishing DWR eco, Wortmann was the vice president of public affairs for the EU for First Solar. In this capacity he was responsible for the expansion of the production facility in Germany, as well as important pieces of energy legislation. David Wortmann is a frequent speaker on conferences and acted, among other things, as a visiting lecturer at the Institute for Global Leadership at Tufts University in the United States. He has published numerous technical papers in the fields of sustainable development and energy and is the managing director of the Berlin Brandenburg Energy Network. Doreen Rietentiet has advised the clean tech and renewable energy sector as a communications strategist since 2004. Her extensive experience and in-depth knowledge of the industry as well as her extensive network of media stakeholders worldwide makes her an invaluable asset to DWR eco. She has specialized in the development and implementation of media strategies, campaigns and content in the field of clean tech, sustainability and start-ups. Before entering the clean teach sector, Doreen Rietentiet has worked as an international journalist in the United States, Great Britain and Japan. For more than a decade, she covered two presidential elections, the UN Millennium Summit, 9/11 and many other stories of international relevance for media organizations, such as CNN International, German ARD, ITN and the European Broadcast Union. She. After returning to Berlin in 2005, Rietentiet was hired to produce Sabine Christiansen’s English-language program “Global Players” for CNBC. In 2005 she was asked to establish the German Renewable Energies Agency, where she worked closely with former UNEP Director Klaus Töpfer. Doreen Rietentiet also oversees the global PR strategy and outreach work of the Falling Walls Foundation and helps industry associations and companies like Hermes with their sustainability strategy. Hans-Josef Fell is a Senior Advisor at DWR eco and President of the Energy Watch Group (EWG). From 1998 to 2013, he was a Member of the German Bundestag. As author of the Renewable Energy Act (EEG), he laid the foundation for the internationally acclaimed German energy transition. Fell also contributed extensively to the improvement of framework conditions for renewable energies at both the European and global level. His expertise makes him an internationally sought after speaker at congresses and conferences on energy issues. As Senior Advisor for DWR eco in Brussels, Ludovica Gambone manages clients in the energy, environmental, and sustainability sectors. She has a decade of professional experience in the political operations of the European Union as staffer in the office of a Member of the European Parliament and Manager at the internationally active agency Burson-Marsteller. Since joining DWR eco, she has successfully supervised a variety of European and international campaigns and advised clients on strategic issues. Gambone studied law at the University of Buenos Aires and the University of Louvain (Belgium) and speaks English, French, Spanish, and Portuguese in addition to Italian. James Ford is a Senior Advisor to DWR eco, advising on UK politics and developments in public policy relating to urban mobility, infrastructure and transport innovation. Before working with DWR eco James was Head of Transport and Technology for a leading London communications consultancy, heading up successful – and often award-winning – lobbying campaigns for a diverse range of clients including London City Airport, the Ministry of Sound, ExCeL London, the ‘Fair Tax on Flying’ coalition, Lyft, the London Borough of Croydon, Dollar UK, Car2Go, and Ubiquitous. James has advised several UK politicians and candidates. A graduate of King’s College London, James’s career has included periods working in policy and public affairs roles for London Chamber of Commerce & Industry and the UK’s Construction Industry Training Board. Eveline Lemke is an expert, lateral thinker and guide for the raw materials transition. Between 2011 – 2016 she was Minister for Economic Affairs, Climate Protection, Energy and Regional Planning and Deputy Prime Minister in Rheinland-Pfalz. As a learned steel merchant with practical experience from the scrapyard, Zero Waste or 100% Circular Economy is no theory for her. She is the founder of Eveline Lemke Sustainability and Circular Economy Consulting. Lemke is also on the board of the environmental technology network Ecoliance e. V. For DWR eco and our customers, Eveline Lemke will provide advice on issues relating to the circular economy, sharing economy, but also on the development of alternative business models and other topics of a sustainable economy. 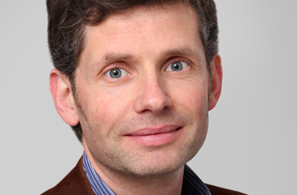 Guillaume Labbez is a Senior Advisor in Public Affairs with DWR eco based out of Paris. He brings more than a decade of Public Affairs experience in the French capital, where he served as the director of consulting with a leading public affairs firm, advising leading international firms and NGO’s. Guillaume Labbez has worked extensively in the French political scene, acting as both an advisor, and communications officer in the office of the Prime Minister. He holds an Executive Masters degree from Sciences Po University in Paris, where he is also a lecturer on Negotiation and Influence. Guillaume Labbez is the President and Founder of Commstrat, a French advisory firm focusing on strategic communication. As a Senior Advisor Jörgen Klammer supports DWR eco in the thematic fields of technology and engineering. Previously, Klammer supported large renewable energy producers in the area of technology transfer and gained experience in the areas of science, development and users within a product life cycle. A graduate in electric engineering, Jörgen Klammer contributes his expertise in the application and implementation of energy concepts with 100 per cent renewable generation and smart consumer and producer monitoring and control systems. As a Senior Advisor at DWR eco Angelina Galiteva works to structure and advance the implementation of cutting edge energy policies that reflect the increasing role of renewable energy, storage, mobility and distributed energy technologies worldwide. She is founder of the Renewables 100 Policy Institute and also serves as an Expert Renewable Energy Speaker for the US Departments of States. Angelina Galiteva’s industry experiences spans from serving as a Principal at a renewable energy product design firm to the utility sector as the Executive Director of the Los Angeles Department of Water and Power and the New York Power Authority. She is an attorney and holds a J.D. and LLM Degrees, specializing in Environmental and Energy Law. Pierre-Yves Le Borgn’ is a Senior Advisor to DWR eco and a former member of the French Parliament. He was one of the most influential members of the Foreign Affairs Committee, specializing in the fight against global warming, European affairs and the protection of rights and freedoms. Pierre-Yves Le Borgn’ was the rapporteur of the ratification of the Paris Agreement of December 2015 on climate change. From 1990 to 2012, Pierre-Yves Le Borgn’ held various corporate affairs positions for multinational companies in the fast moving consumer goods, chemical industry and renewable energies sectors. Prior to his election to the French Parliament, he was Vice President, Corporate Affairs Europe at First Solar, Inc. from 2006 to 2012. Pierre-Yves Le Borgn’ holds a BA in French law from the University of Nantes, a BA in political science from the Institute of Political Studies of Paris and a LLM in European law from the College of Europe (Bruges, Belgium). 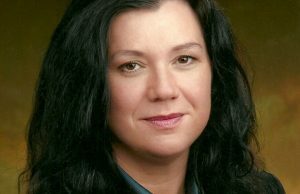 Jo Field is a Senior Advisor at DWR eco. She is the Founder and Managing Director of JFG Communications and an expert in creating innovative ways to connect people and policymakers. She helps companies engage their stakeholders, build advocacy about what they do, and inform and influence public policy. Jo Field has a 15-year track record of success in developing and delivering public affairs and stakeholder engagement strategies; campaigns; policy development; crisis communications; and protecting corporate reputations. She was Head of Campaigns, Communications and Stakeholder Engagement at Transport for London and transformed TfL’s external relationships, built stakeholder support and advocacy for London’s transport infrastructure, and lobbied for the funding to deliver it. Prof. Eicke Weber is a member of the Senior Advisor team at DWR eco. He is a world renowned expert in the field of solar energy. 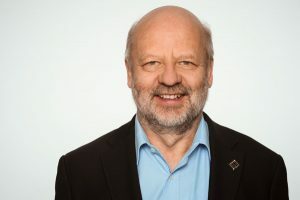 Following 23 years in his faculty position at UC Berkeley, the physicist led the Fraunhofer institute for solar energy systems (ISE) and assumed the position as founding president of the German Energy Storage Association (BVES) in Freiburg, Germany. Weber is also a member of the advisory panel for the Solar Energy Research Institute of Singapore (SERIS) at the National University of Singapore. Hi current position is the CEO of the BEARS program for scientific cooperation between the University of California, Berkeley and Singapore Universities. He is member of the German National Academy of Science and Engineering Acatech.